"Bottoms Up: Cocktails, Cider, and Civil Rights" at Acorn Hall ~ The History Girl! Big-time New Jersey gangsters such as Longy Zwillman and Lucky Luciano actively conducted their illegal bootlegging businesses in the county after the Volstead Act went into effect in 1918. 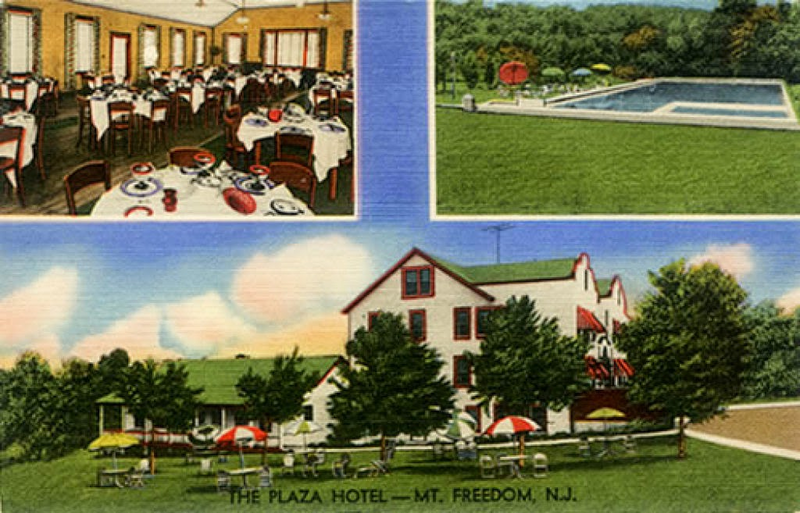 After Prohibition’s repeal, Morris County reclaimed its status as an ideal getaway vacation area, attracting many visitors from New York. For years, Broadway stars and entertainers graced the stages of the county’s fine hotels and resorts. On display in "Bottoms Up" are photographs depicting, and objects from, many well-remembered Morris County establishments; recalling changing times in American society. Highlighted in the exhibit are some former speakeasies and restaurants that have transcended the years to continue to serve their Morris County communities. The Morris County Historical Society, founded in 1946, is a member-supported, 501(c)3 non-profit organization. Its headquarters, Acorn Hall, is an Italianate Villa mansion open to the public on Wednesdays and Thursdays (11:00 am - 4:00 pm) and Sundays (1:00 - 4:00 pm). Please note that Acorn Hall will be temporarily closed from August 4-15. The admission fee to tour Acorn Hall and see the exhibit is $6 for adults, $5 for seniors, $3 for students, and children under 12 are free. The fee to tour the exhibit only is half of the regular admission price. Acorn Hall is located at 68 Morris Avenue, Morristown, NJ. For more information, call 973-267-3465 or visit www.acornhall.org.